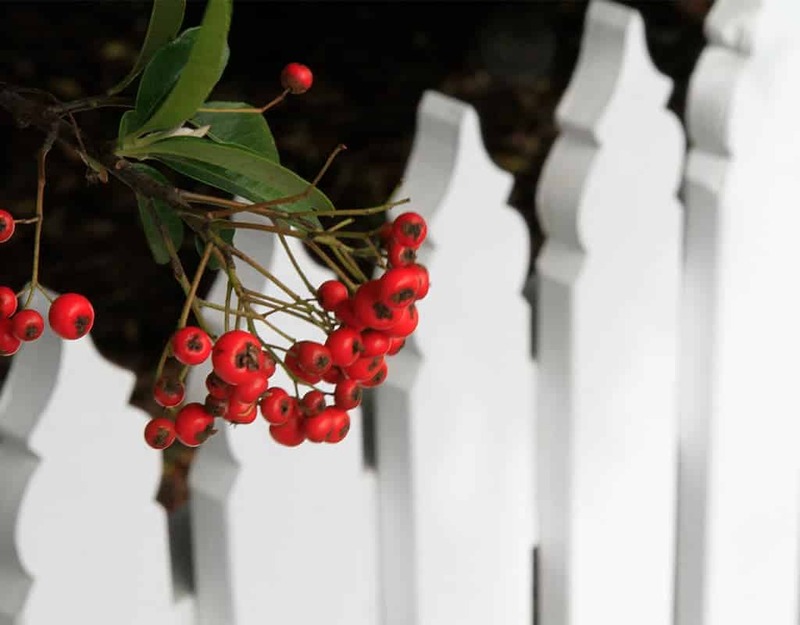 We know a thing or two about picket fences. Motueka Pickets, a brand proudly owned by MLC Group, manufactures fence pickets, gates and fence panels which will surround your home and garden with style. 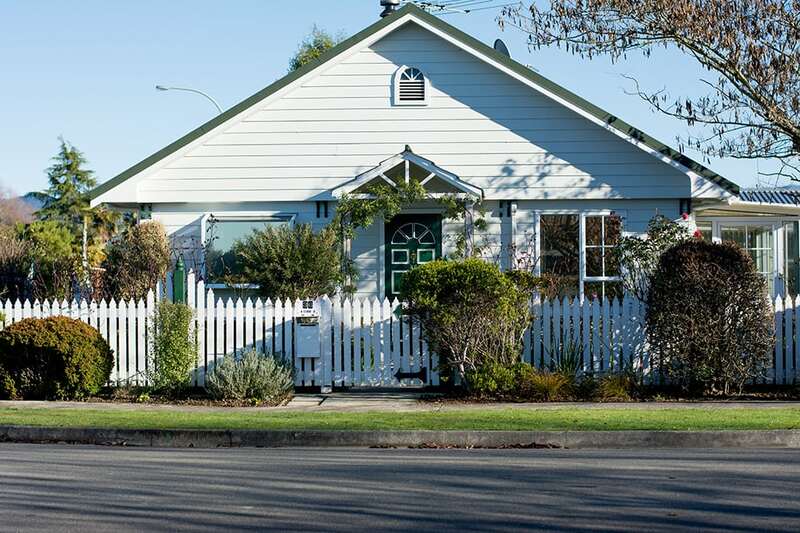 But when it comes to knowing about picket fences, there’s more than one string to our bow – or more than one picket to our fence. We also know the best shrubs and flowers to plant near your picket fence so, without ado, here’s a few wise words about fenceline landscaping. While some people love the sharp lines of a picket fence, others prefer a softer look. This can be achieved by growing climbing flowers along the fence. Similarly, if you have a large privacy fence you can attach a trellis from MLC Group and use climbing plants to take the sharp edge off the overall appearance. If you prefer a formal look, in line with the fence itself, look at planting short flowering or nonflowering hedges, or sheared plants. For the sake of contrast, especially if you have a traditional white picket fence, colourful flowers are an obvious choice. But while you might think of a white fence as a blank canvas, it might pay to keep the big picture in mind. In this case, the big picture refers to the colour of the house, or the palette of the garden surrounding your home, and how your fenceline landscaping will fit in. Consider this when choosing the flowering plants for your fence and you can create a seamless look that will lead the eye from the fence, through your garden, and to your home. Of course, if your home and garden palette are white, or of a similar light colour, feel free to be bold with an eye-catching and contrasting first impression! For example, perennial sunflowers towering above a picket fence can be hard to miss, and tulips in a kaleidoscope of colours will also work extra well. 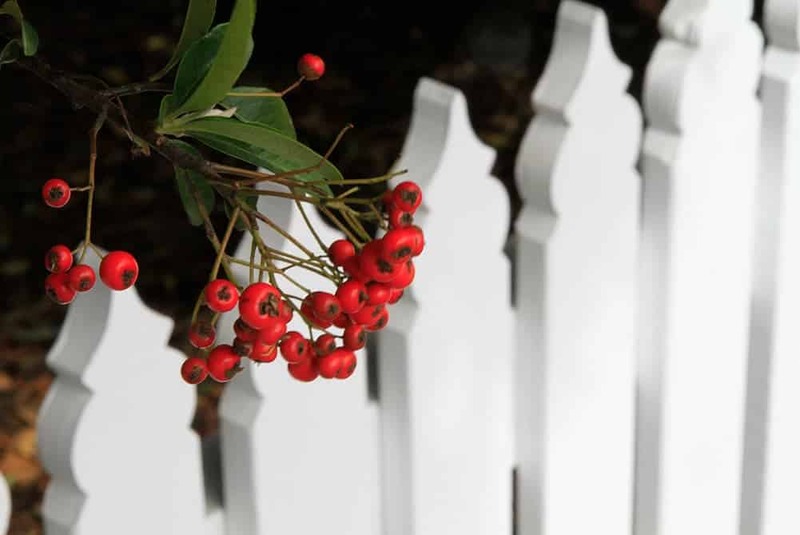 Picket fences are timeless classics and if you want to emphasise that traditional look, you can’t go past roses, with climbing roses particularly good for taller fences. But they’re not your only option. Cottage garden plants can also add considerable charm. Flowers like cosmos, delphinium, dahlia, and foxgloves are renowned for their old-world appeal, but if you’re after greater ground coverage along your fence, shrubs like hydrangea, roses, and lavender will work perfectly. Even though you want to create something beautiful, don’t forget the basics. Check your preferred plants will survive if your fence is in a sunny spot (or shaded spot, for that matter). Vigorous and fast-growing plants will go through the spaces in the fence – is that the sort of visual you have in mind? Or do you want your plants to be confined to one side of the fence? Will your plants give you access to the back of the fence if repainting is required, or will regular pruning be needed? Is the soil along your fence suitable for the type of plants you want to put in? Answer questions like these and you’ll go a long way to selecting the right shrubs and flowers to plant near your picket fence. The final results will be spectacular so being a little fussy in your plant selection will be worth it.